Women wear collection section. GW Fashion House proudly presenting rich color and best quality fabric at your door step. We are offering many designers clothes under many catagories. 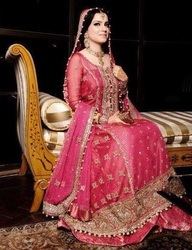 We offer you free of cost alteration for your dress so the dress you choose fits you best. We serve in the best way. For more info you can Contact Us.